We have long experience in these fields, gained developing successful services for commercial companies, the media, academia, and researchers, experience which has given us a unique combination of skills. Can we do what you need? Read more about us below, or use the links to go straight to the appropriate section. Do contact us if you want to know more about our services. Jointly with Landman Economics, we've just produced a paper which models the path of child poverty in Scotland from now up to 2031. The analysis forms part of the Scottish Government's Child Poverty Delivery Plan. It contains projections of child poverty rates in Scotland on the basis of announced tax and benefit changes, and forecasts of population growth, household sizes, employment, and incomes. We estimate that by 2030/31, 38% of children will be in relative poverty, 32% in absolute poverty, 17% in combined low income and material deprivation, and 16% of children will be in persistent poverty - all up significantly on current rates. Read a BBC report on our work. The average age for leaving home in the UK is 24i, yet vulnerable young people in care are often expected to live independently and leave care at 16, 17 or 18. In a project for Action for Children Wales(AFC) we modelled the likely costs and benefits of "A Chance to Stay": a proposal to allow young people to stay with their foster carers up to the age of 21. To do this, we build a model that captured both the direct costs (payments to foster-carers, administration costs and so on) and the consequent effects on benefits paid and taxes received, and we illustrate the possible longer term effects of the scheme, under a variety of assumptions about its effect on employability and educational attainment. We show that under what seem reasonable assumptions, allowing young people to stay may well pay for itself in the medium term through increased taxes, and reduced social expenditures. The research was conducted jointly with Landman Economics and The University of Swansea, College of Human and Health Sciences. The program source code for our simulation model. 16th December 2009: Graham Stark been working on a wide ranging project organised by the United Nations University to help build microsimulation capacity in Africa. Models were built by teams from the countries themselves; Graham worked with the country teams to ensure the models were completed to a uniformly high standard and then build a sophisticated . Virtual Worlds simulation models played a central part in modelling the extensions to eligibility to Legal Aid in Scotland. We produced detailed estimates of the likely costs of the reforms, and guidance on the optimal structure of the new contribution rates and income limits needed to maximise the amount of eligibility for legal aid given the available budget. The model used is the latest in a family of microsimulation models of the Legal Aid systems of Scotland, Northern Ireland and England and Wales, using the Family Resources Survey as data. These model entitlements in great detail, and have sophisticated costs and takeup models which use disaggregated data on legal aid claims and payments, as well as unique optimisation routines which automatically find the best solutions for some combination of entitlements and costs. Built for the ADRS consultancy, in one of our most technically challenging project yet, four multi-period on-line simulation models of the South African economy are now live. We've recently added a new simulation to the ADRS Online Suite LMEM, a long-term employment forecasting tool for education policy analysts, economists, human resource specialists and government planners. We've also been busy upgrading the online models, adding new tabulation and data exploration features, and improving efficiency. Work is underway on a complete revamp of the visual design and navigation of ADRS site. 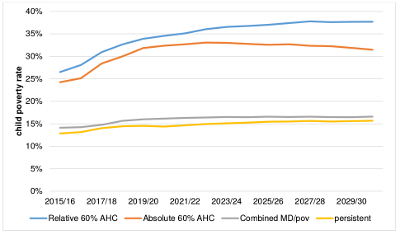 In conjunction with Landman Economics, we've just completed a major piece of work for the Welsh Assembly Government on modelling the finance of social care. May 2012: Mefisto: Simulating Belgium! Belgium may not have a government, but Mefisto, a collaboration between Virtual Worlds and the Universities of Leuven and Essex allows you to become the Belgian Chancellor. 16th October 2009 We've just completed a major piece of work for the Office of the Scottish Charities Regulator (OSCR) on modelling the ability the ability of beneficiaries to afford fees charged by charities. In our Maze Green Yachts simulation, you become Chief Executive Officer of a major international yacht manufacturer. The shareholders are looking to you to run the company as profitably as possible during your three year term. Your job is to keep the company afloat, installing new technologu and competing with increasing foreign competition. Now online is a web-enabled model of the Russian Tax and Transfer System, built by Virtual Worlds for the World Institute for Development Economics Research of the United Nations.